Just Write About It. : Slendertoxtea: 'Detox, Slim, Cleanse'? I think not! Slendertoxtea: 'Detox, Slim, Cleanse'? I think not! I have seen no end of celebrity endorsements for multiple different detox teas, and so when I was offered 20% off code 'TWEET20' at www.slendertoxtea.com, I decided I would try it. Ordinarily £19.99, 'Slendertoxtea is a Herbal clean detox & Organic teatox, Assistive in Losing weight & Fat burning. 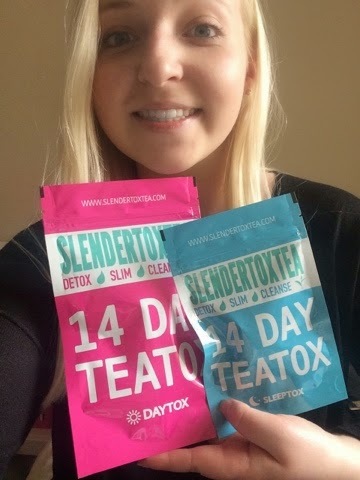 Made from a purely natural organic herbal blend, Slendertoxtea is a Teatox designed to detoxify and cleanse, increase metabolism, suppress your appetite, burn calories and increase energy.Together with a healthy eating plan and lifestyle, join the Slendertoxtea movement today.' This is taken from their website. Due to these huge claims I was feeling rather skeptical anyway, but it was a bloody movement all right! The tea arrived midday but as I was already due to go out for a night out, I decided to wait until the following day to begin to detox. The packaging states you should start the detox on a day off or a weekend, and so this already had me rather nervous. You are supposed to use one teabag in the morning and one every other night for the duration of your teatox. It is advised that you use a medium sized cup of warm or cold water (not boiling water) and allow to infuse for 3-5 minutes or as long as you wish but NO longer than 6 minutes. So morning one arrived and I had my first tea, I was extremely hungover, and the smell of the tea brewing in warm water made me boke/gag. Within 25 mins of me starting the mug I felt my stomach bubbling away and was ready to let rip! I became very anxious about what was ahead for me. The cramps gradually became worse and I had to take myself to lie down, yet that didn't last too long as I had to make hasty trips to and from the bathroom. Let's say I'm thankful to live alone. Night 1: You receive 7 night tea bags and 14 day tea bags and so the night time tea is an alternative day routine. It's late and I've left the tea bag in longer than the 2-3 mins which you are advised as I was waiting for the water to cool down.. I couldn't work out how to make the water warm but not boiling as the packet states and so I boiled the water and waited for it to cool. I realise that it tastes like digestive biscuits (not the nice milk chocolate kind). This time more bearable than my hungover morning challenge, thinking it may have been the hangover which made me gag earlier on. I still have immense stomach cramps and just feeling exhausted constantly, not to mention that I was SO thirsty from presumably dehydration. Morning 2: I woke up with belly ache and had to rush to the loo. I read online that some people reduced their time of brewing and so that was what I was going to try next. I couldn't go on the way I had been, and so hopefully I'd see *solid results (pardon the pun). I felt exhausted and vulnerable to leave the house and it began to make me feel sick. Due to this my appetite was suppressed because I just felt too ill to eat, surely this isn't healthy at all? Not going to lie to you either, by night 2 when I had a very close call I was thinking about not even carrying on. With a two hour exam the next day, my movements had me scared to even leave my flat! I skipped the morning before my exam and woke up feeling terrible. I was lethargic, had intense headaches and began to lose my voice. I only just made it to my exam and returned back to my bed. When I woke the next day I felt even worse and booked an emergency appointment at the doctors to discover that I had tonsilitis. This was also the end of my Slendertoxtea experience. 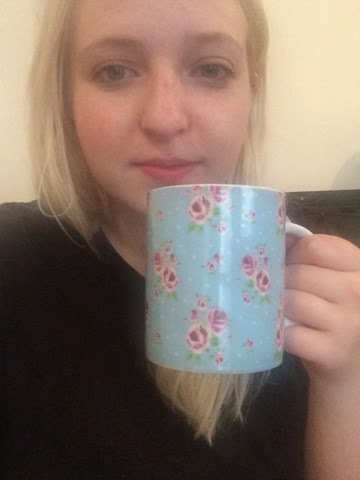 Of course the tea did not cause this directly, however I can't help but feel that if I wasn't already worn out and run down, my body would not have been so vulnerable to contract the infection. It wasn't in any way pleasant, I felt house bound and far from energized as the packaging claims. Due to my illness, I only made it to day 4 and decided to pack it in. It was one of the most horrible experiences of my life. I even felt the urge to buy pantie liners - it really was THAT bad. I wouldn't advise this detox to anyone unless you have a spare two weeks where you don't want to leave the house and don't mind staring at your bathroom walls for long periods of time. I can't even understand how it's in any way healthy. Disclaimer: Please note this review is 100% honesty (in case there wasn't enough gruesome detail to prove otherwise) and not at all funded by Slendertoxtea.